The Film “Selma” is a highly-anticipated Civil Rights film based on the marches of Dr. Martin Luther King, Jr.’s historic struggle to secure voting rights for all people. “Selma” takes on the journey of Dr.King’s marched from the Alabama cities of Selma to Montgomery, Alabama in a dangerous and terrifying campaign that led to President Johnson signing the Voting Rights Act of 1965. 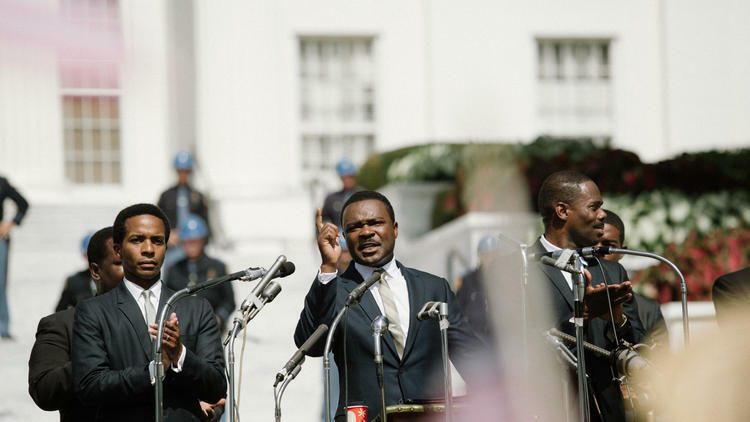 “Selma,” a film starring British actor David Oyelowo (pronounced oh-YELL-ow-oh) gives us captivating soulful performance as King. Oyelowo, a classically trained stage actor has already secured a nomination for a Golden Globe for his portrayal of Martin Luther King. 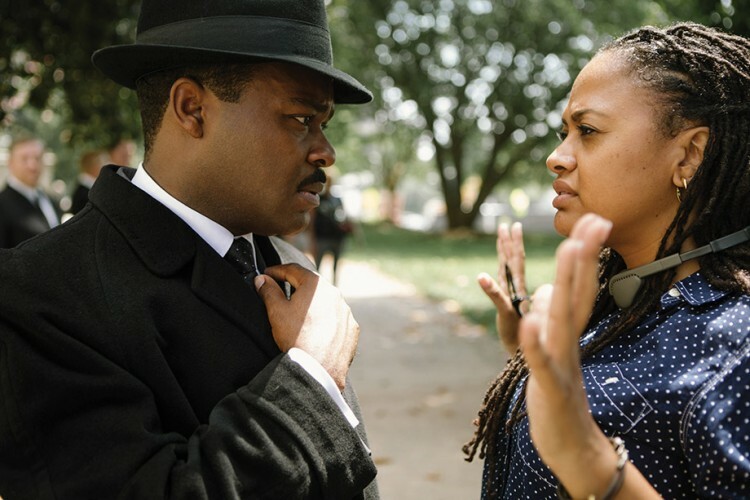 Ava DuVernay, the Film’s director strips down the mythology of King as a leader. In the film “Selma” King is a father and a husband. 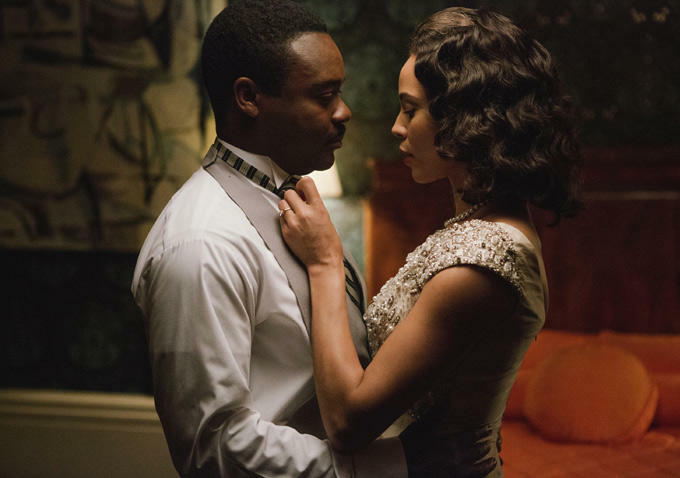 Carmen Ejogo, who stars as Coretta Scott King in the film surprisingly brings to life a spirited Coretta who is strong willed in holding together the King family, after death threats and reports of Martin’s infidelity, she negotiates in a series of interactions her husband’s true feelings. DuVernay introduces the audience to the significant roles of women, what could’ve been a male-dominated storyline. Ava DuVernay, is the first female to be nominated for Golden Globe Award. Critics have taken notice on DuVernay reintroduction of an historical event of political gamesmanship, while capturing how black voters in the South were being intimidated, beaten and disenfranchised in 1965 with just six weeks of filming in Atlanta and Alabama. Oprah Winfrey, one of the film’s producers, is deeply moving role as Annie Lee Cooper, a nurse who decked a white sheriff for denying her right to vote. “Selma” isn’t a traditional biopic about civil rights movement’s 1965 bloody march, the film focuses on the decisions Dr. Martin Luther King made as a Southern Christian Leader that led to the march to Montgomery and the eventual passage of the Voting Rights Act. 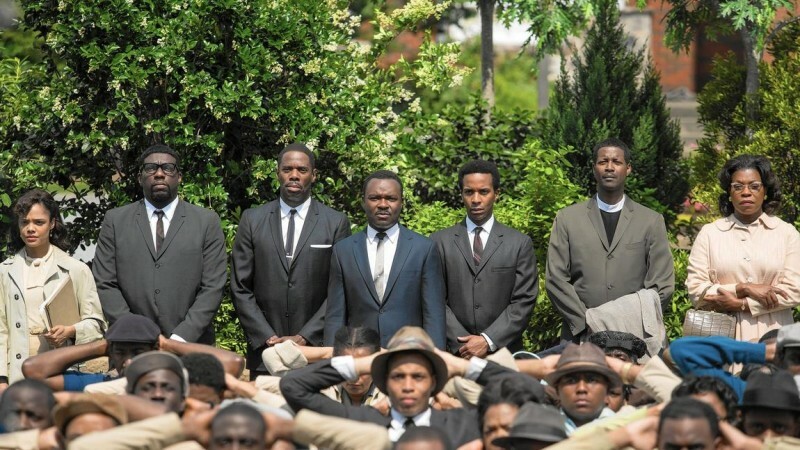 “Selma” debuted in New York, Los Angeles, Washington D.C. and Atlanta on Christmas Day, and the producers include Oprah Winfrey, who has a small role in the movie as an activist, and Plan B, Brad Pitt’s company. Paramount Pictures will expand a nationwide release in theaters on Jan. 9th 2015.